In December, the UN Migration Agency, IOM, in Washington D.C. partnered with NYU Washington, DC to host a screening of Bonjour Ji, an award-winning Canadian short film examining an interplay of (mis)perceptions and hurdles that are part of migrants’ daily experience around the world. The film screening was followed by a panel discussion reflecting on the role of storytelling and art as vehicles for passing on information on migration and migrants themselves. 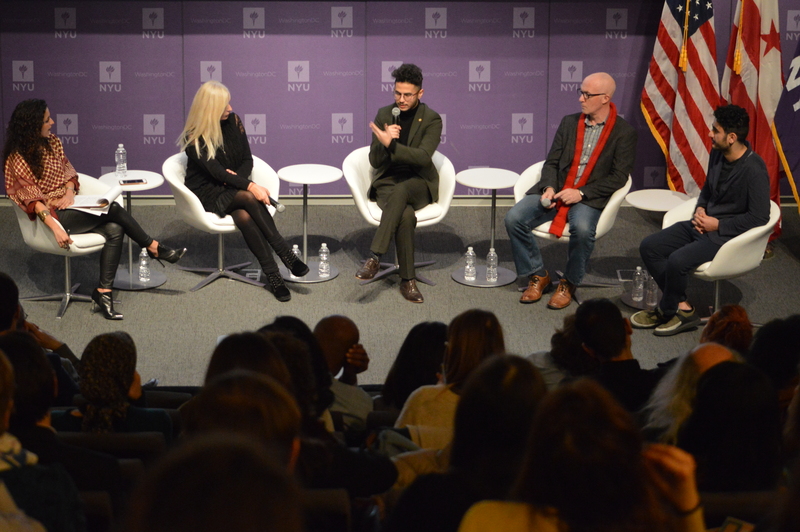 This conversation included Laura Thompson, Deputy Director General of the International Organization for Migration (IOM), Ahmed Badr, IOM Youth Ambassador, Veyron Pax Iranian filmmaker and refugee, and Barbara Cupisti, documentary director. The Film Festival is a partner of Plural+, the UN campaign TOGETHER and USA for IOM. Through this initiative, IOM and its partners aim at changing the negative perceptions and attitudes towards refugees and migrants.